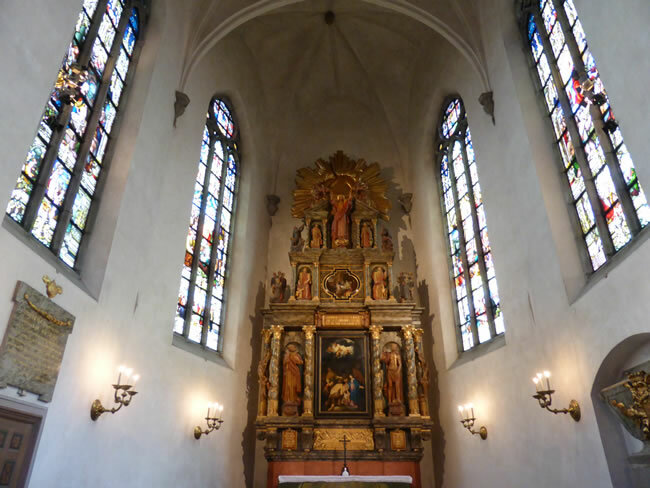 This gives you a better look at the stained glass windows and decorated altar in St James Church. It is reminiscent of the UK and European Churches we have seen. It is quite unlike all of the Scandanavian churches we have seen so far.